This site wants to offer a new and more up-to-date approach to the city of Athens, both an ancient and modern European capital that is why the weekend tourist finds it difficult to appreciate. For this reason I have felt the need to create this new tool, hoping it will become useful for the visitor to explore, discover but especially to appreciate and love 21st century Athens. 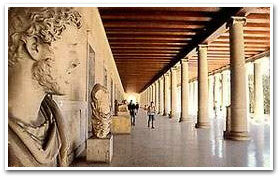 I would like to wish you a great stay in one of the most dynamic European capitals! 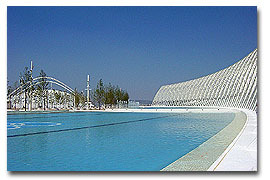 The first contact with contemporary Athens is when landing at the new International airport "Elefterios Venizelos" (27km from the city centre). This is a highly technological building complex but with a simple and linear structure. 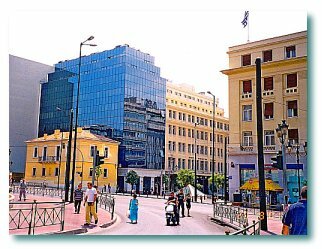 It reflects the characteristics of today's Athens, a metropolis where the elegance of its most ancient monuments and the untidy planning boom, is sided with linear modern infrastructures. This is a city where among the contemporary buildings, what stands out is order, practicality, efficiency, minimalist forms and the avant-guard technologies applied. Athens is in the middle of being developed and it enjoys combining its ancient geometrical forms and materials (see the famous white Pendelis marble also used to build the Parthenon) with its modern buildings and exclusive design. It is a great metropolis where old warehouses and industrial buildings are also being increasingly re-used in order to make space for the city's great desire to create and offer art and culture. In Athens the new styles, fashions and infrastructures are constantly materialising and becoming appropriate symbols for this city that is ripening on a daily basis. (For example, the metro has been a subject of study by the world's greatest experts in this field, as has its modern auditorium with perfect acoustics). Modern Athens is an extraordinary city that is constantly changing, leaving behind the urban unawareness which has for years given it the reputation of 'the ugly duckling' of Europe. Finally Athens has understood that it is high time and got down to work in order to get rid of the smog, the noise pollution from heavy traffic and the visual claustrophobia caused by the huge billboards which have for years suffocated the historical centre, disfiguring its exquisite beauty. Today's Athens has been cleared of its air pollution, its noise and its ugly sites and is now working fast to enter a new era and become a well-known modern city. The projects to freshen-up the city are very ambitious, entire areas of the historical centre are being cleaned up and completely pedestrianised. The biggest squares are being built from scratch, the archaeological park and splendid monuments are being made even more beautiful, not to talk of the old and derelict industrial area which is about to become a new cultural focal point with art shows, exhibitions, new theatres, museums and also pubs, hi-tech restaurants and great entertainment centres. The Athens of today and of the future is discovering its true identity, partly because it is a focal point for contemporary artists who converge here from all over the world to live and discover the city and be inspired by it, thus contributing to make it increasingly beautiful and charming. Exactly how big is Athens? It's a vast urban conglomerate which spreads out as far as the eye can see over the Attica plain It is an enormous city, its centre overlooks the Aegean Sea for 20 km, and it is spread out inland for another 30 km. 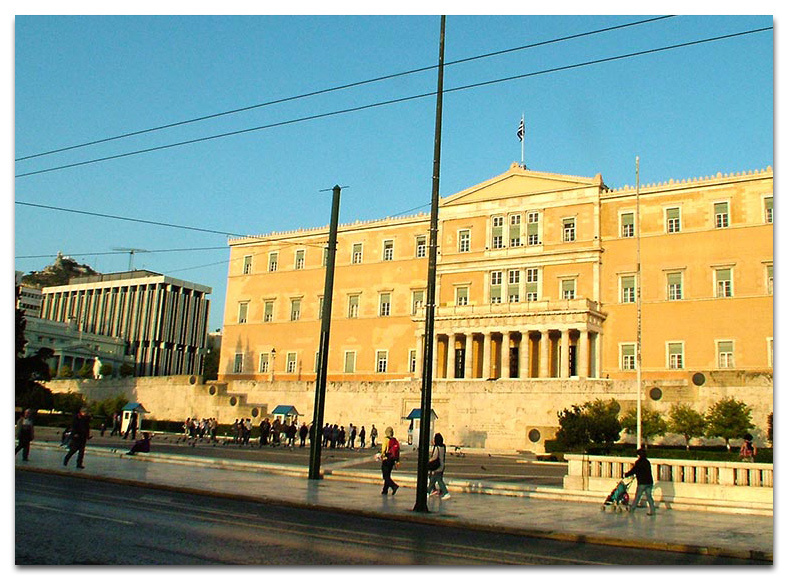 The inhabitants of the capital are more than one third of the entire Greek population. The city offers a vast array of choices, resources and opportunities, from history to culture, sport to shows, entertainment to business, great industry to the innumerable services that daily stimulate the hectic pace of the city. It's a great capital soon to become the main attraction pole for the entire area of the Balkans and the nearby East. Here is the city in figures: 3.761.810 official inhabitants in the region according to the census of 04/2001 (5.000.000 if one takes into account all the immigrants not listed in the city's Registry Office), distributed on an area of 3.808 square kilometres (428 square kilometres is the main urban conglomeration); 5.000 years of history, 3.130 roads, 861 churches, 315 hotels, 237 sale cinemas, 230 squares, 227 sport centres, 140 hospitals, 135 theatres, 130 museums, 100 km of ring road, 82 parks, 80 multi-level junctions, 75 km of wide avenues, 42 cemeteries, 24 archaeological areas. It has dozens of marinas and well-equipped beaches, hundreds of restaurants serving food from all over the world, hundreds of discos and hi-tech night clubs, thousands of shops and markets to cater for every taste, ultra modern shopping centres and high fashion boutiques. 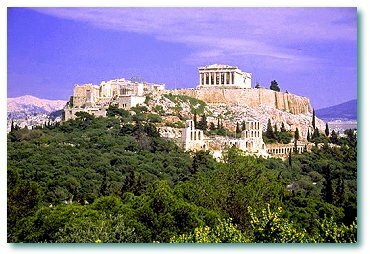 Athens has an enviable geographical position, it has ports, beaches, hills, wooded mountains and a mild climate, and it is dry and breezy nearly all year round. This city is both a port and a seaside resort, it is both hilly and mountainous. If you combine these characteristics with 5000 years of history and with the splendid ancient vestiges, among which the Parthenon on top of the Acropolis, in the heart of the centre, you have an exclusive city with a unique charm. Athens is a striking and fascinating city, however, on first impact it is disorienting, because many people expect an ancient, small and quiet city and Athens has none of these characteristics. While crossing the splendid archaeological park you legitimately expect to find Pericles, Socrates and Pluto wandering along the pathways and among the statues, but you mustn't forget that this is the 21st century and Athens is one of the biggest capitals of the world! So don't be surprised to find yourself in the midst of tall modern blocks of flats and huge busy main roads. You should always be aware that the splendid ancient vestiges, the elegant neoclassical buildings and the picturesque old quarters, also make up the fabric of the city which is at the same time old and new and this is what makes it so unique! Athens should be appreciated for what it is today as a whole, that includes both its thousand-year-old history and its hectic modern role of business, political and artistic centre of our times. When arriving in the city centre, perhaps in one of its big squares, you have the feeling of being in the middle of the history, the creativity and the culture of a proud population that is productive and rich both in art and in spirit. Athens is a crossroads of the ancient and modern times, where Hellenic classicism and Athens neoclassicism, mingle with the productivity and the desire for renovation that have marked the architecture of the last century. Architecture which, especially from the building boom of the 50s and 60s, has often been criticised because it is seen by some as being untidy and anonymous, however, it is nevertheless a reflection of the times and human evolution. Since then it has been changing, and today it offers new and exciting prospects. Athens is a city to live in and discover, it is the only way to appreciate the incredible charm it has had ever since its great past. Today the visitor can be pleasantly surprised by the city's ability to look to the future and still keep and eye on the past. Athens awaits us with museums, theatres, cultural entertainment, archaeological sites, Olympic Games facilities, nightlife and much much more. © copyright 2004-2018 by Demetrio Rizzo. All rights reserved.